Many folks in Alabama will be remembering the fifth anniversary of the 2011 tornado outbreak. The twister killed 64 people and injured more than 1500 in the Tuscaloosa-Birmingham area. WVUA-TV Chief Meteorologist Richard Scott was on the air forecasting the storms as an EF-4 Tornado destroyed 12 percent of Tuscaloosa. Scott says he still does not know how he kept his cool despite a deadly tornado heading in his direction. Scott was also a victim of the tornado as his house on 16th Street was destroyed. He says the city’s scars are healing as the fifth anniversary will be remembered on Wednesday. 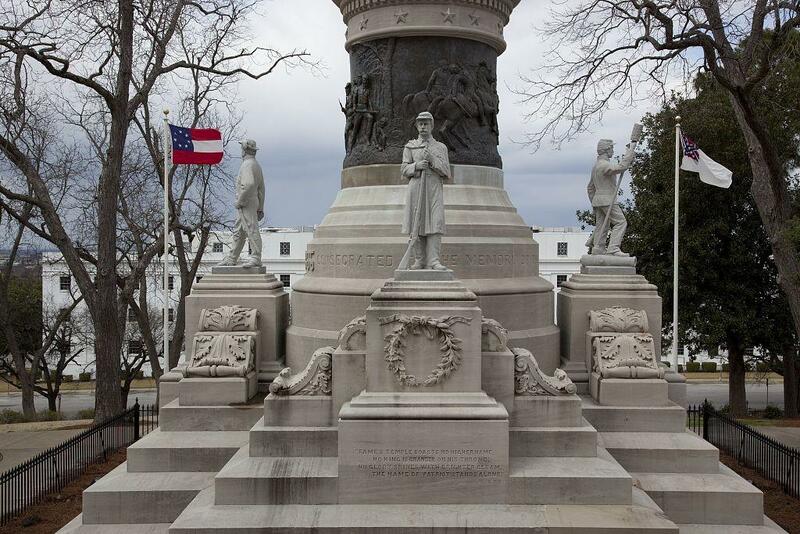 Today Alabama honors Confederate Memorial Day. This is one of three Confederate holidays on the state calendar. These holidays have drawn criticism in recent years along with other Confederate symbols such as monuments and building names. State Representative Alvin Holmes submitted a bill to eliminate these holidays in Alabama last year. But for some citizens, these holidays are an important time to remember their ancestors. Gary Carlyle is the Commander of the Alabama Division of the Sons of Confederate Veterans. He says April is a significant month for Confederate heritage. The Sons of Confederate Veterans will host a ceremony at the Alabama Confederate Memorial Monument in Montgomery at 10 a.m. this morning. A familiar face is coming back to the Auburn school system. The Auburn City Council voted this week to approve the appointment of former Auburn superintendent Terry Jenkins to the city Board of Education. Jenkins will replace current board president Matt Clegg, who served two full terms. Jenkins will start his five-year term on June 1. He retired from his position as Auburn superintendent on July 1, 2012, after having served in that capacity since 2000. Before moving to Auburn, Jenkins lived in Georgia for 32 years, serving as a teacher, coach, school principal and superintendent. He came to Auburn after serving as executive director of the Georgia Schools Superintendents Association, and has been recognized as Outstanding Superintendent of the Year in both Georgia and Alabama. Former Alabama Chief Justice Perry Hooper has died at the age of 91. Hooper’s son says the former justice died yesterday morning at his home in Montgomery. Hooper, Sr. was elected to serve as the Chief Justice of the Alabama Supreme Court in 1995. He had previously served in the Marine Corps and also once worked as a staff attorney for former state Justice Davis Stakely. Before his time on the Supreme Court, Hooper also served as probate judge of Montgomery County and as an Alabama circuit judge. Hooper was a member of the Capitol City Kiwanis Club and coached youth football and basketball for many years. His son, Perry Hooper, Jr., says his father was a great man to people.